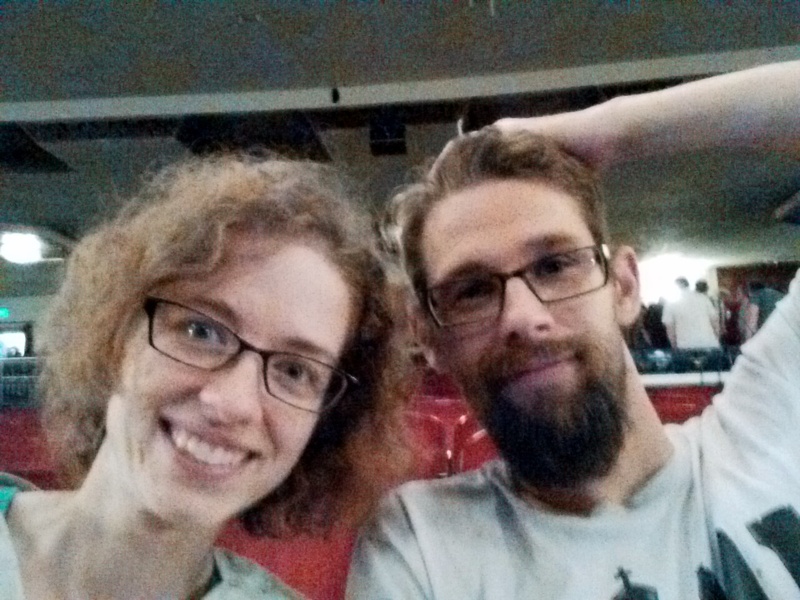 Last night seeing Garfunkel and Oates was SO MUCH fun. I had thought we were only seeing them but it turns out there were two other comedians performing first. Both were decent, although the first one got some heckles when she started talking politics (surprised she thought doing that in this state was a good idea). She saved herself eventually but the ordeal dampened her show for me. The guy that followed her helped lighten the mood which was nice so that by the time Garfunkel and Oates came on the audience was happy and ready. I think seeing Garfunkel and Oates is one of my (if not the) favorite shows I’ve seen. They were so down to earth, friendly, and funny. I can’t even explain why I enjoyed them so much but wow did I. I felt like I would be friends with these girls if we knew each other. I guess what it comes down to is that I felt like I could relate to them, they did a great job connecting with the audience. Gene and I walked around downtown a bit afterward in hopes that the garage would thin out since everyone in the theater parked at the same place. It was fun seeing downtown Denver at night, I told Gene that it looked like a completely different city to me. I felt like a tourist. 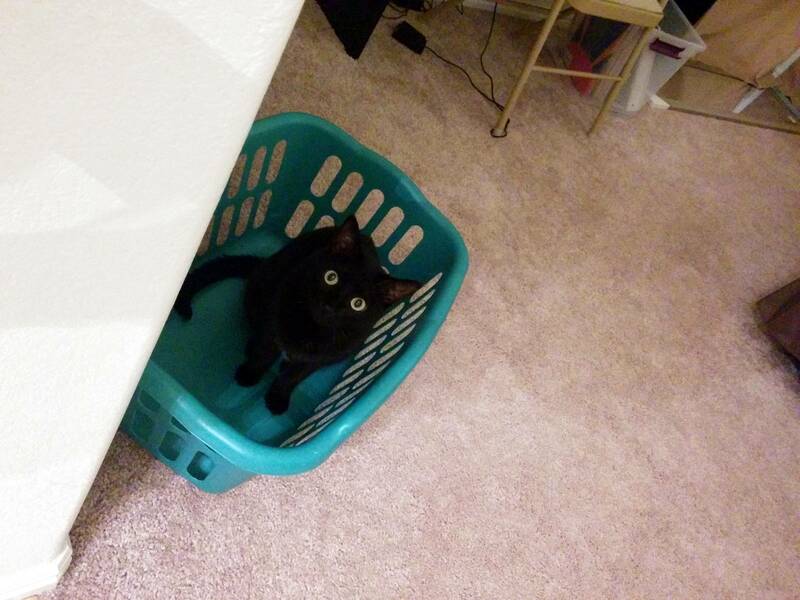 We eventually came home and as I was getting ready for bed I turned and saw Pippin sitting in the laundry basket, staring up at me. It was so cute that I stealthily grabbed my phone and snapped a picture.